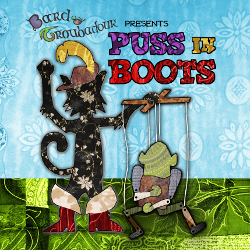 If Puss in Boots came to Brighton, Joshua Crisp from Bard and Troubadour thinks the wily cat might get into a few adventures and a scrape or two. In this interview, Joshua talks about how his company (comprising he, the bard, and she, Amy Sutton – the Troubadour), makes theatre for children, takes us into his rehearsal rooms and shares some ambitions for the this acclaimed duo. 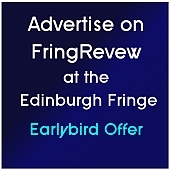 This entry was posted on Tuesday, April 7th, 2015 at 3:22 pm and is filed under Audio Interviews, Brighton Fringe 2015. You can follow any responses to this entry through the RSS 2.0 feed. Both comments and pings are currently closed.